Comment: All profits go to Housing Works -- NYC's largest HIV/AIDS organization. Minimal wear to cover. Pages clean and binding tight. Hardcover. We all want a more calm and spacious way of living, but we are often unsure of how to step off the crazy treadmill of day-to-day routines and responsibilities. Wellness pioneers Nadia Narain and Katia Narain Phillips have learned through years of practice that simple rituals can help you slow down the pace of modern life and re-center yourself. Rituals for Every Day shares Narian and Narian Phillips’s easy-to-follow step-by-step advice. Through engaging in small, simple, and reflective routines, you can let these basic, everyday rituals bring you back to yourself. Nadia Narain is a celebrity yoga teacher, with a client list that reads like a who’s who. Her sister, Katia Narain Phillips, has been a health food pioneer since discovering the raw food scene in Maui nearly 20 years ago. She currently runs a health food café in London. 1.0 out of 5 starsEnough substance for me to stay interested. I really can't believe this book even got published it is so bad. 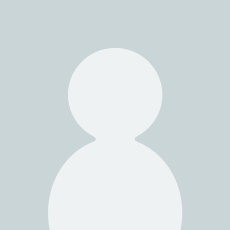 Very simplistic. Nothing to it. 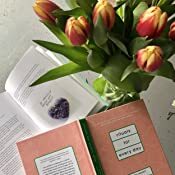 If you're seeking to create more intentional routines for every day, add sweetness to the special occasions, yet keep it accessible and down to earth, this book is for you. I've referred to it three times this week alone, and dog-eared half the pages! It's beautiful, understated and enriching all at once. 5.0 out of 5 starsThis turns the light on to see more clearly what could be if we embrace daily rituals! LOVE IT! In this gem of a book you'll find all kinds of rituals for living well, both modern and ancient. I appreciate this book very much for it's down to earth style of sharing and reminding us that the simplest things are still our most necessary. Most of all, I love the examples Nadia and Katia give to honor and acknowledge important things as well as our emotions and experience. Their easy way of sharing leaves the door open for you to create your own rituals around the topics mentioned. For me this book is a reminder to celebrate life, especially when it feels to busy and crazy. It gives simple suggestions on how to pause and savor life so it feels more meaningful and sweet. "Energy follows intention" and this book helps set intention. I loved it. It is the perfect " I love you" gift for someone who wants to slow down. This book has inspired me to bring more beauty and intention into my life. I love this book, as well as the Author's previous book 'Self Care For The Real World'. 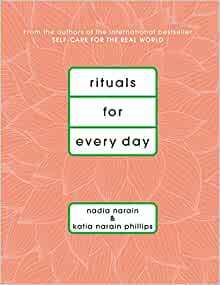 Rituals for Every Day is a wonderful, easy read that makes elevating the mundane simple and doable. The concepts listed truly do add value to my everyday life. It's a wonderful gift for a college student leaving home, or for the mother who is dealing with empty nesting. It's just great!! !